The top tier robo-advisor firms, Personal Capital, Betterment, and Wealthfront, did so well pioneering diversified, tax-efficient portfolios regularly rebalanced by technology-powered algorithms at low cost that a slew of copycats quickly emerged. Renowned firms like Schwab and Vanguard launched their own robo-advisory spinoffs, Schwab Intelligent Portfolios and Vanguard Personal Advisor Services, respectively. Even firms that traditionally focused elsewhere have joined the fray. SoFi, for example, established its reputation as a top tier lender, and launched a wealth management division to compete with robo-advisor firms. WiseBanyan innovated with a business model that provide automated portfolio management at no cost. 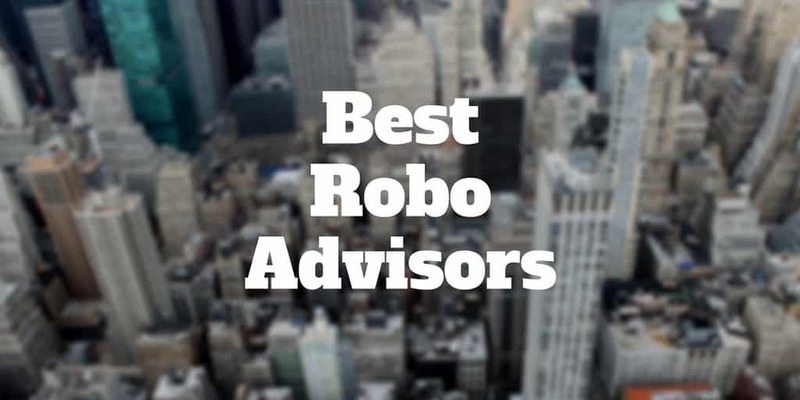 Among the many robo-advisors, which offer the most competitive fees, best service, and best access to human advisors? We conducted independent research and share our findings below. Schwab Intelligent Portfolios and SoFi offer free and very low management fees, respectively, because their core businesses allow them make money in ways that pure robo-advisory firms cannot; SoFi is primarily a lender and so can offer low-cost, high-touch wealth management because its core business generates the bulk of revenues while Schwab makes money from the investment expenses charged by Schwab funds that make up client portfolios. Although Betterment and Wealthfront pioneered the robo-advisory business model and offer compelling value propositions with low fees, tax-loss harvesting, and automatic rebalancing, Schwab has run away as the leader among consumers when it comes to assets under management; it was the first robo-advisor to manage over $10 billion. Schwab charges no management fees, offers the most extensive range of asset classes resulting in perhaps the most diversified portfolios among robo-advisory firms, and has a mobile app that is about as good as it gets. SoFi may not yet be a household name when it comes to robo-advisory firms but if it applies its community-oriented, customer-focused model as well to wealth management as it has to lending, it soon will be. SoFi has a low $500 account minimum, and charges just 0.25% for a high level of service that includes more than just technology-powered portfolio management but access to live advisors too. Schwab and SoFi both make money in innovative ways that allow them to compete fiercely on price with rivals, creating a win for consumers. Unlike pure robo-advisors that make money exclusively from managing portfolios, Schwab makes money from investment expenses charged to clients on funds held, a feature few robo-advisory firms can offer, other than perhaps Vanguard. And SoFi makes money from lending to borrowers, so it can offer wealth management with a highly personalized service with access to human financial advisors at low cost. Investors looking for a more personal touch beyond pure robo-advisory solutions may consider Personal Capital and Vanguard Personal Advisory Services, both of whom connect clients to human financial advisors. Personal Capital offers the best combination of robo-advisory services with dedicated financial advisors in our view because unlike most robo-advisors who provide clients no access to financial advisors, Personal Capital assigns a dedicated human financial advisor to each client. Clients investing over $100,000 are assigned two dedicated financial advisors.</p? Although the minimum account balance of $100,000 at Personal Capital is higher than many robo-advisory firms, it’s low relative to the $500,000 account balance needed to get access to a dedicated financial advisor at Vanguard. Vanguard does provide clients access to a team of financial advisors for amounts invested over $50,000, which is its account minimum. Fidelity Go and Betterment earn top marks for servicing IRA account holders. Fidelity makes it easy to rollover 401(k) accounts into IRA accounts and Betterment facilitates linking to third-party accounts to provide a holistic view of all financial accounts, which allows for more informed decision-making on IRA portfolio composition. Fidelity brokerage arm oversees more than $2 Trillion. Fidelity’s deep expertise overseeing retirement plans translates to Fidelity Go where rolling over assets from a 401(k) to an IRA is made simple. Betterment serves IRA retirement account investors by providing them a holistic view of their entire financial situation. Rather than analyzing an isolated IRA portfolio independent of other assets, Betterment allows users to link third-party financial accounts as part of its RetireGuide service; this nudges clients to save more and provides a holistic view of all accounts together which allows for more insightful and informed investment decision-making. Tax-loss harvesting is a feature offered by many robo-advisors that identifies assets that are in the red and can be sold to offset assets that are in the black, which if otherwise sold alone could increase tax liabilities. Many investors hire a financial advisor to invest savings and hire a tax preparer for year-end tax filings and tax optimization. Financial advisors will often focus on maximizing portfolio returns without due consideration to tax consequences of buy and sell transactions, so investors often discover too late that their portfolios are not optimized for tax-efficient growth and returns. Wealthfront strives to maximize not simply returns but the all-important after-tax returns. Wealthfront distinguishes itself many other robo-advisors by offering a tax-loss harvesting service called Direct Indexing whereby individual securities as opposed to exchange-traded funds are purchased. By purchasing up to 1,001 individual securities versus a single ETF or an index fund, Wealthfront can deliver tax-optimized portfolios better than many rivals. Personal Capital has a best-in-class mobile app that allows users, even those who have not signed up for its financial advisory service, to connect non-Personal Capital bank, credit card and investment accounts to view budgeting, spending, cash flow and net worth. For advisory clients, Personal Capital’s robo-advisory service automatically optimizes for tax considerations via a tax-loss harvesting strategy.